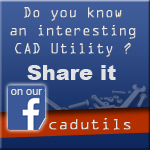 This online service will analyze the contents of your AutoCAD *.dwg file and will extract recoverable data in several minutes. Online recovery of DWG corrupted files has never been easier!. It recovers *.DWG files of AutoCAD 15 (AutoCAD 2000) and above. DataNumen DWG Recovery is the tool to repair and recover corrupted DWG files. It can recover from DWG file as much as possible. It contains several tabs that allow you select the function you want to use, (eg. 'Recovery', 'Batch Recovery' and 'Options' to adjust the functioning parameters of the program).